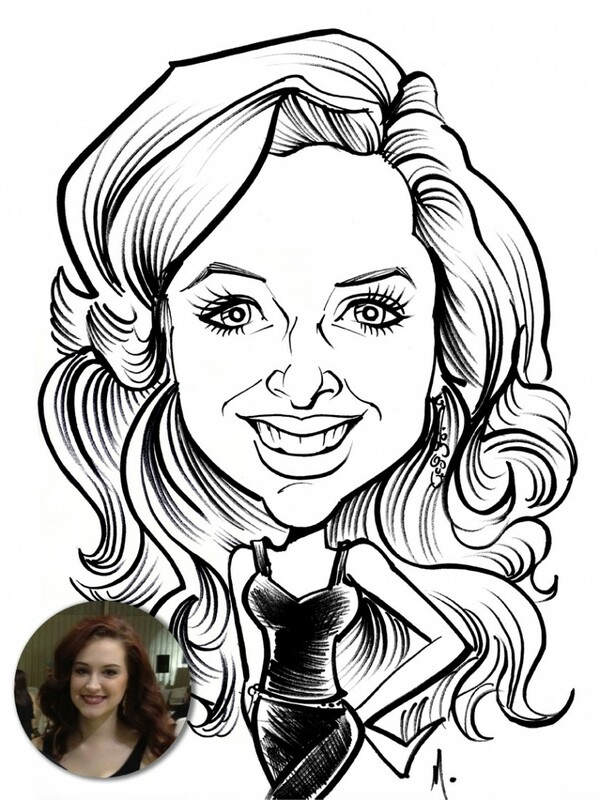 Need a Caricaturist? 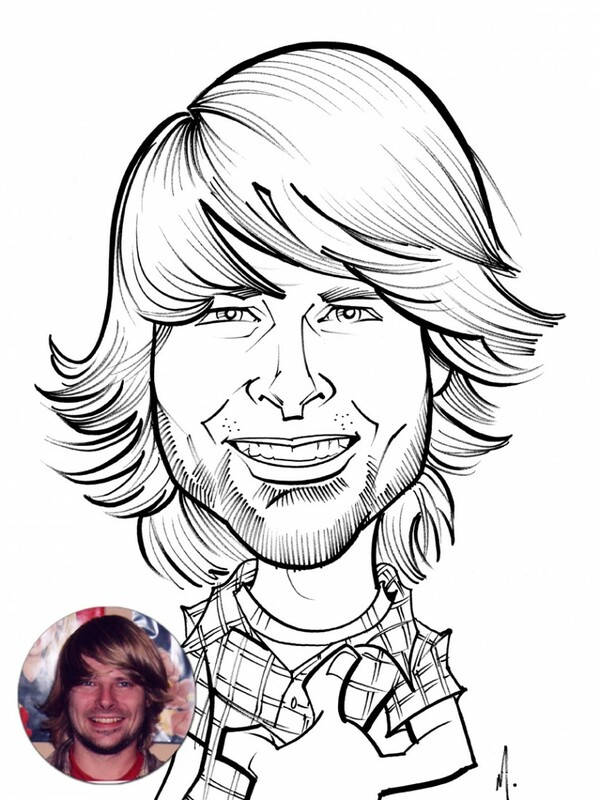 Nashville Caricature Artist Matthew Cox has been drawing caricatures for more than ten years and can provide great entertainment for weddings, graduations, college events, bar & bat mitzvahs, trade shows, conventions and almost any other type of function. 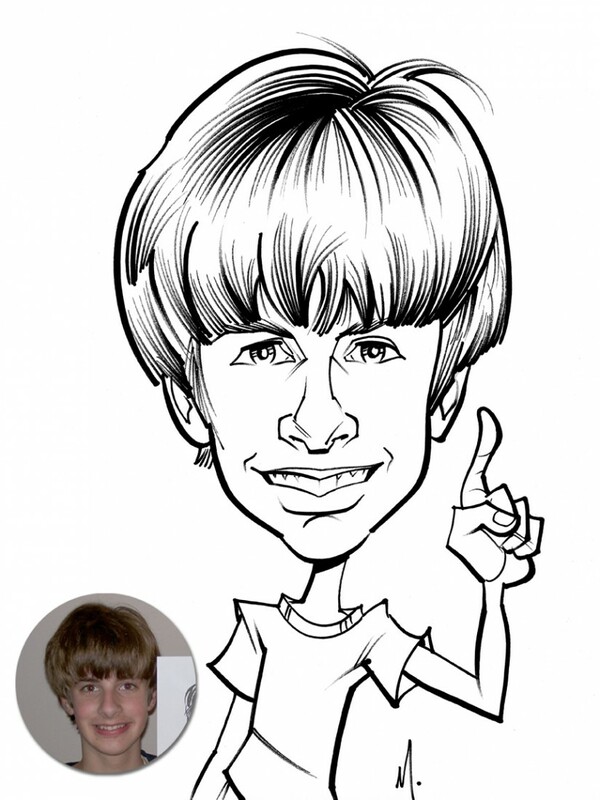 Caricatures provide fun entertainment for any event and make a great keepsake for guests. Sketches only take five minutes per person and multiple artists are always available for larger events. Set up is hassle free and can accommodate almost any venue. Be sure to contact and book Matthew to draw at your next event! Our Team Had a Great Time!! Everyone had such a great time. Lots of compliments on Matt's work. Will definitely recommend this to others. The caricature event was very well received by both kids and adults in the birthday party. Matt was great in capturing the faces with minute details. Kids were super excited to get their faces drawn and they were all running around showing their caricatures to everyone. It was so nice of him to stay a few extra minutes (even though he didn't have to) to draw the remaining kids faces. Overall, Matt was one of the best caricature artists and I would recommend Matt to make your events little more entertaining. Matt Stole the Show ! Matt's skills are amazing and he was a great addition to our event for the second year in a row. He'll be requested again next year too! His caricatures are entertaining and insightful. Thanks Matt! Matt drew caricatures of all the girls at my daughter’s birthday party. The drawings were all SO good and everyone loved them!! Matt was awesome...highly recommend! AMAZING TALENT! HIGHLY, HIGHLY RECOMMENDED! I hired Matt for a party. 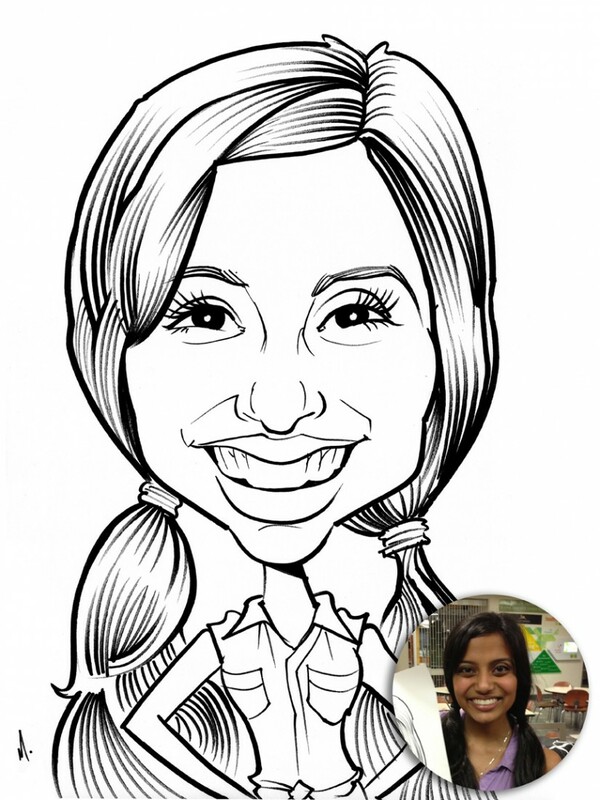 Have always wanted a Caricature done. He was great with kids of all ages, flexible and so nice. Great job! Matt did a great job at my wedding reception! He was professional and prompt and everyone loved the caricatures! Couldn't have asked for better service. 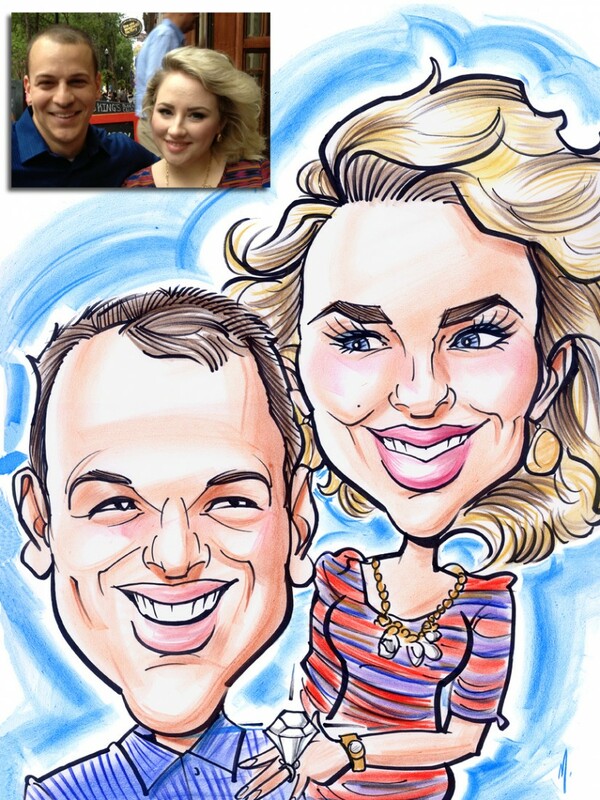 We'll frame our caricature and remember it fondly for years to come. Thank you Matt!! Everyone loved you!! He was patient, professional, and everyone was thrilled. Thank you!!! We hired Matt for our sales team, and he was exceptional. Showed up ahead of schedule, stayed late to accommodate for some of the kids who joined us, and the quality of the work was 5 stars! We'll hire him again in the future for sure, and we highly recommend! Matt worked very well with our clients and being patient is the key. Thanks for a great job well done. Matt was really great he showed up early and had a line waiting to get thie pictures drawn the entire time he was there. People thought it was great to have there picture drawn at a wedding. I would highly recommend him for any event. Matt was fantastic & exceeded our expectations. Very professional, punctual & really delivers a GREAT product. 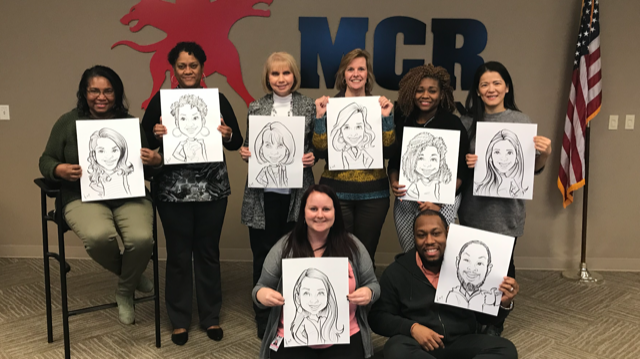 The caricatures he drew were a fun & unexpected surprise for our associates. If you are in the market for an artist, I would highly recommend Matt for your next event!!! 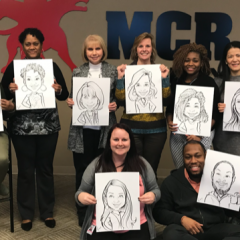 Be sure to book Matthew to draw at your next event!